Blue Bloods “The Devil You Know” – Frank goes head-to-head with a data-tracking company when they refuse to unlock the phone of a terrorist that may hold information regarding upcoming targets. 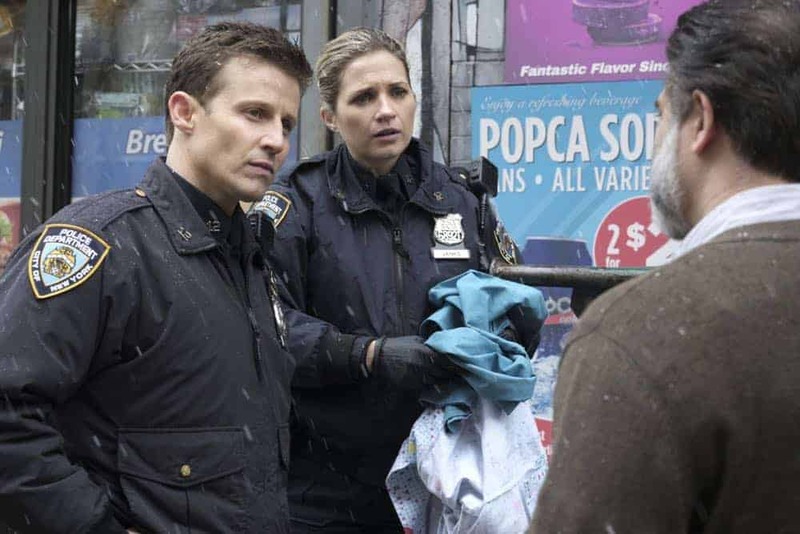 Also, when Erin obtains information about an impending murder from a shady source, she gets Danny and Baez involved, despite the questionable agenda of the informant, and Jamie and Eddie try to locate a woman who kidnapped a newborn baby, on BLUE BLOODS, Friday, May 4 (10:00-11:00 PM, ET/PT) on the CBS Television Network. Bebe Neuwirth returns as Councilwoman Kelly Peterson. 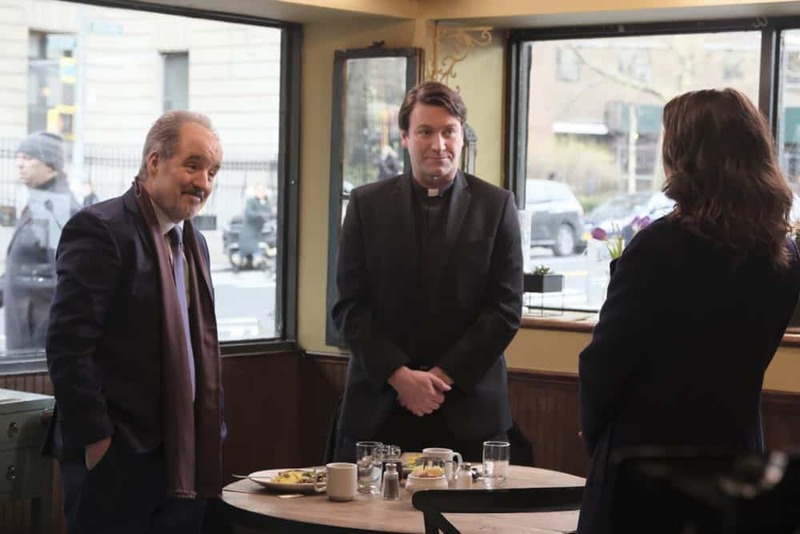 BLUE BLOODS Season 8 Episode 21 Photos The Devil You Know. “The Devil You Know” — Frank goes head-to-head with a data-tracking company when they refuse to unlock the phone of a terrorist that may hold information regarding upcoming targets. Also, when Erin obtains information about an impending murder from a shady source, she gets Danny and Baez involved, despite the questionable agenda of the informant, and Jamie and Eddie try to locate a woman who kidnapped a newborn baby, on BLUE BLOODS, Friday, May 4 (10:00-11:00 PM, ET/PT) on the CBS Television Network. Bebe Neuwirth returns as Councilwoman Kelly Peterson. 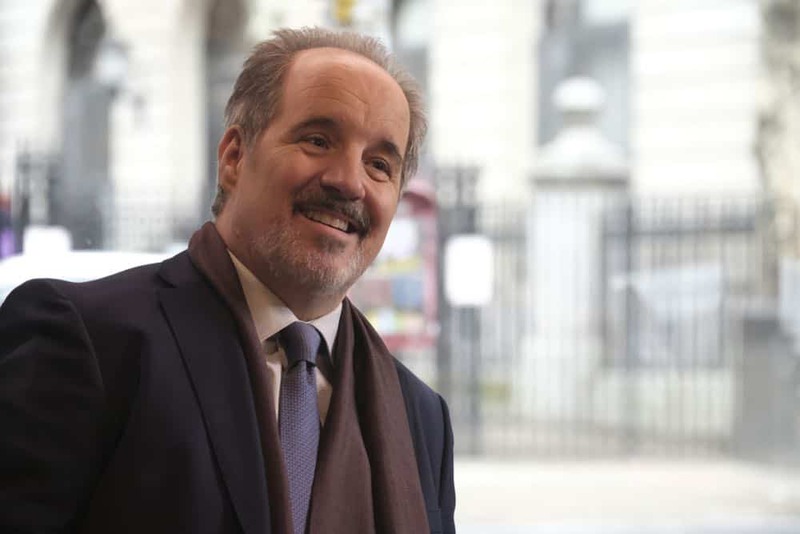 Pictured: John Pankow Photo: JoJo Whilden /CBS ÃÂ©2018CBS Broadcasting Inc. All Rights Reserved. “The Devil You Know” — Frank goes head-to-head with a data-tracking company when they refuse to unlock the phone of a terrorist that may hold information regarding upcoming targets. Also, when Erin obtains information about an impending murder from a shady source, she gets Danny and Baez involved, despite the questionable agenda of the informant, and Jamie and Eddie try to locate a woman who kidnapped a newborn baby, on BLUE BLOODS, Friday, May 4 (10:00-11:00 PM, ET/PT) on the CBS Television Network. Bebe Neuwirth returns as Councilwoman Kelly Peterson. Pictured: Bridget Moynahan. 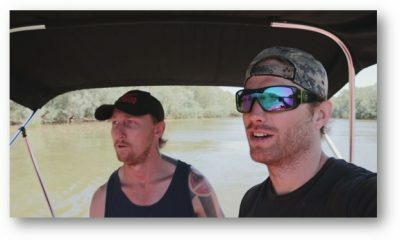 Photo: JoJo Whilden /CBS ÃÂ©2018CBS Broadcasting Inc. All Rights Reserved. “The Devil You Know” — Frank goes head-to-head with a data-tracking company when they refuse to unlock the phone of a terrorist that may hold information regarding upcoming targets. 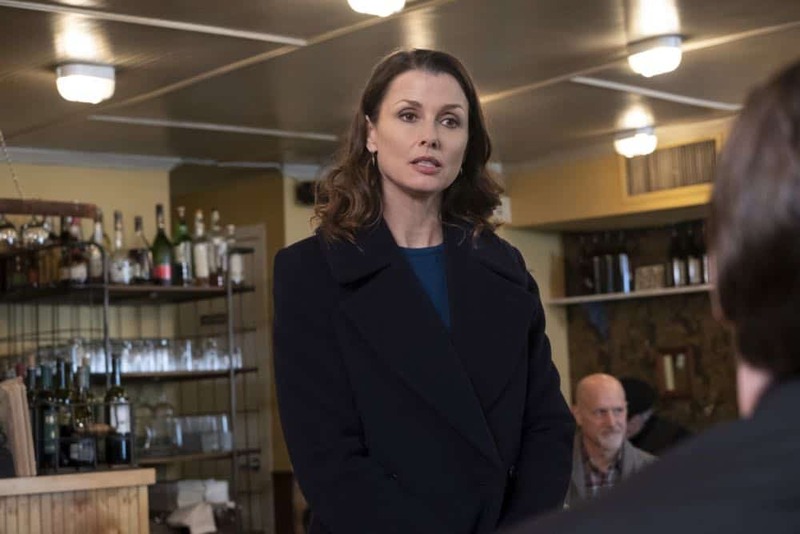 Also, when Erin obtains information about an impending murder from a shady source, she gets Danny and Baez involved, despite the questionable agenda of the informant, and Jamie and Eddie try to locate a woman who kidnapped a newborn baby, on BLUE BLOODS, Friday, May 4 (10:00-11:00 PM, ET/PT) on the CBS Television Network. Bebe Neuwirth returns as Councilwoman Kelly Peterson. 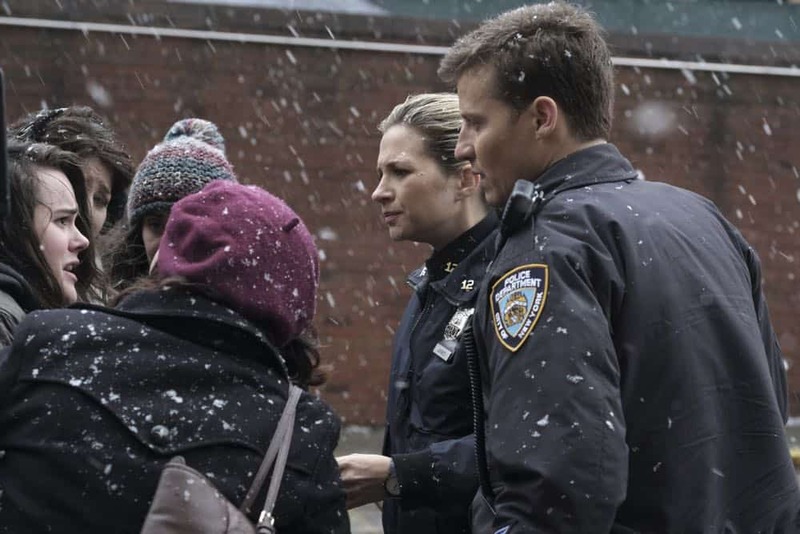 Pictured: Will Estes, Vanessa Ray Photo: JoJo Whilden /CBS ÃÂ©2018CBS Broadcasting Inc. All Rights Reserved. “The Devil You Know” — Frank goes head-to-head with a data-tracking company when they refuse to unlock the phone of a terrorist that may hold information regarding upcoming targets. Also, when Erin obtains information about an impending murder from a shady source, she gets Danny and Baez involved, despite the questionable agenda of the informant, and Jamie and Eddie try to locate a woman who kidnapped a newborn baby, on BLUE BLOODS, Friday, May 4 (10:00-11:00 PM, ET/PT) on the CBS Television Network. Bebe Neuwirth returns as Councilwoman Kelly Peterson. Pictured: John Pankow, Kris Arnold, Bridget Moynahan. 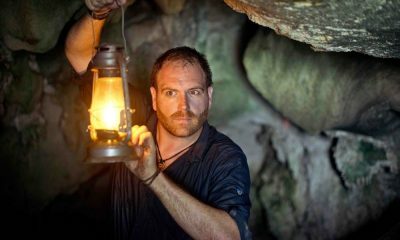 Photo: JoJo Whilden /CBS ÃÂ©2018CBS Broadcasting Inc. All Rights Reserved.